Some datasets give users a 'data feedback' tab, which can be used to provide feedback on a dataset directly to the publisher. Note that this feature is not widely used by publishers across the platform. This will provide you with a range of options for your chosen data. 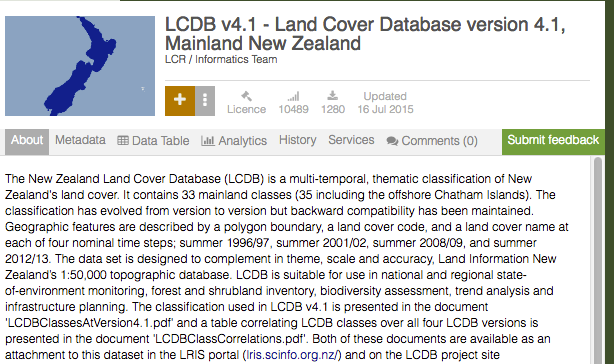 The Submit Feedback option will be the final tab, at the right edge of the About page for your chosen dataset. Description: Provide your feedback in detail. Attachment: Where relevant, add a screenshot to provide context to your feedback. Subject: Overarching summary of your feedback. You will also be given a checkbox that allows you to 'Include other map information.' 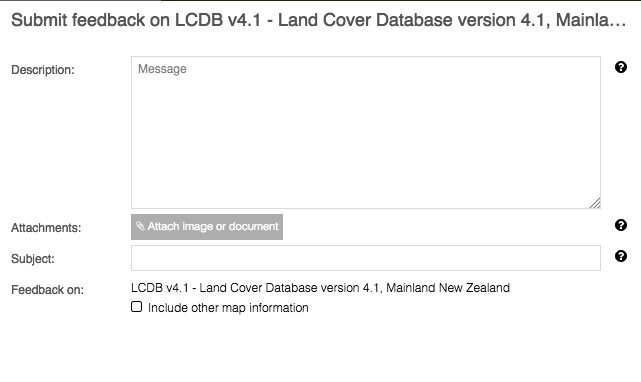 If you select this option, the publisher will be automatically provided with details of the other data layers added to your map at that time.